The Prime Minister delivered a speech in Manchester today unveiling the Government’s plans to help drive growth and create jobs across the country. “Getting behind tourism, green energy, pharmaceuticals, advanced manufacturing, aerospace, the industries of the future – all this is crucial. PV FIT Ltd Managing Director, David Houston, welcomed this news by saying “as a small business we welcomed the introduction of the very attractive Feed-in Tariffs in April ’10 as it gave a stable platform to innovate and grow. Since FIT’s were introduced there has been a lot of speculation on the coalitions commitment to the previous Governments renewables policy. This fresh statement of intent to help develop green energy is very encouraging”. David went on to say “our long term strategy is to become a major player in the renewables sector, creating local jobs in Chester, as well as expanding our nationwide installer network. I’ll look forward to learning how the coalition are going to support us in achieving this goal over the coming months, and years”. Households and communities who install generating technologies such as small wind turbines and solar panels will from April be entitled to claim payments for the low carbon electricity they produce. Energy and Climate Change Secretary Ed Miliband today announced the feed-in tariff (FITs) levels and also published a blueprint for a similar scheme to be introduced in April 2011 to incentivise low carbon heating technologies. The renewable heat incentive (RHI) will be a world first. “The guarantee of getting an income on top of saving on energy bills will be an incentive to householders and communities wanting to make the move to low carbon living. “The feed-in tariff will change the way householders and communities think about their future energy needs, making the payback for investment far shorter than in the past. From 1 April householders and communities who install low carbon electricity technology such as solar photovoltaic (pv) panels and wind turbines up to 5 megawatts will be paid for the electricity they generate, even if they use it themselves. The level of payment depends on the technology and is linked to inflation. They will get a further payment for any electricity they feed into the grid. These payments will be in addition to benefiting from reduced bills as they reduce the need to buy electricity. The scheme will also apply to installations commissioned since July 2008 when the policy was announced. Mr Miliband was speaking as he visited low income homes in Dagenham being helped by eaga’s Clean Energy for Social Housing project to make the move to microgeneration. The scheme offers free clean energy technology to tenants in social housing which will lower their electricity bills and carbon emissions. “By utilising the feed-in tariff initiative and installing free solar technology this programme can cut energy bills for those most in need. We are also recruiting and training renewable energy engineers directly from the local communities where the green technology is being installed. The Department of Energy and Climate Change also published today plans for a scheme to incentivise renewable heat generation at all scales. This will come into effect in April 2011 and guarantee payments for those who install technologies such as ground source heat pumps, biomass boilers and air source heat pumps. Under the proposed tariffs the installation of a ground source heat pump in an average semi-detached house with adequate insulation levels could be rewarded with £1,000 a year and lead to savings of £200 per year if used instead of heating oil. The heat incentive could help thousands of consumers who are off the gas network lower their fuel bills and gain a cash reward for greening their heating supply. Funds for solar photovoltaic (PV) under Phase II of the Low Carbon Building Programme (LCBP) have again run dry leaving large parts of the UK PV industry without support. The LCBP ‘pot’ was meant to carry the industry through until next March and bridge with the new ‘Feed-In’ Tariff scheme, which starts in April 2010. It is hoped the Tariff scheme will finally provide the long-term support framework that has been missing in the UK. However, not only has the funding pot been depleted with no notice, the PV industry also has no idea of what support it can expect under the governments Tariff scheme, making it very difficult to plan ahead or win new business. The REA is calling for a 10% Return on Investment (ROI) for the Tariff scheme for the first three years. DECC’s modelling shows that a 10% ROI delivers three times more renewable energy than current government proposals at an extra cost to households of £1.20 per year up to 2013. Over 30 major organisations have written to MPs alongside the REA calling for a much more ambitious approach including the Federation of Small Businesses, the TUC, WWF and Friends of the Earth. 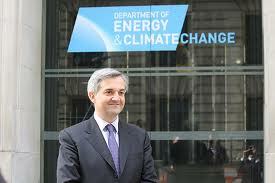 The REA has written to DECC Ministers and frontbench spokespeople setting out the case for a 10% ROI. We are pleased to announce the launch of our new website today. Please feel free to post your comments below.